Life in the Woods Renaissance is a Minecraft modpack inspired by the writings of Henry David Thoreau. Focusing mainly on exploring natural beauty, more customization in builds, expanded farming, fishing, and cooking, and vegan or vegetarian alternatives. Originally when the first version of Life in the Woods was released back in March 2014 it started as a very personal project for Phedran. Designed to address a need she felt wasn't currently being fulfilled in the community, Phedran wanted to be able to play Minecraft as vegan or vegetarian without having to sacrifice gameplay. It was a work of love, yet mirrored the mental and emotional turmoil Phedran was struggling with, suffering from anxiety, depression, chronic pain, neglect, and abuse. While striving for beauty and solace, it was meant to embody the feeling of solitude, loneliness, and having to fend for yourself in the wilderness. Life in the Woods Renaissance is about rebirth and a fresh outlook. It is a reflection of Phedran's personal journey and growth as much as it is a honing of the initial ideas and gameplay aspects into an even more in-depth experience. Now more than ever the focus is on creation, personal expression, and discovery, holding true to the original ideals while incorporating community and multiplayer support as a key feature. With an expanded variety of incredibly gorgeous environments and vegetation to explore, this time there are also additional creatures to encounter on your travels. The cooking system has numerous improved recipes, there are added crops and trees to farm, and even more fish to catch. Creative and personalized building options are increased, and there are a few subtle immersive features that enhance overall game play. A renewal of life, vigor, interest, etc. ; rebirth; revival: a moral renaissance.....the activity, spirit, or time of a great revival......reactivation, rebirth, renascence, renewal, resurgence, resurrection, resuscitation, revitalization, revival, revivification. There are far more images available for Phedran, but these are the ones we felt would be most useful to you. If you have specific requests, please do contact us! 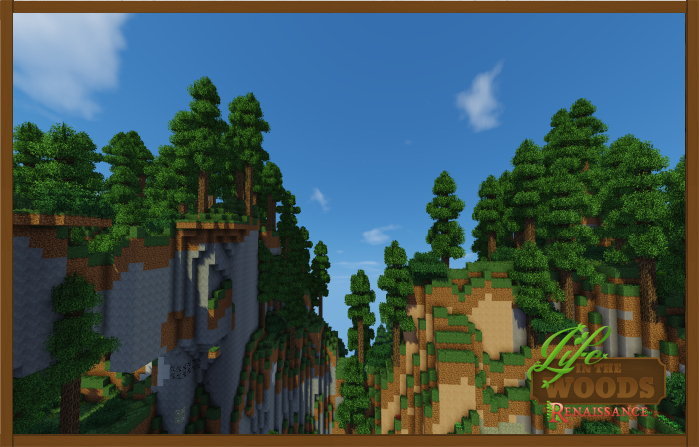 "This is a beautiful modpack put together by Phedran for Minecraft, and I love it. I love it." "Wow, I really enjoy this modpack. Good job Phedran, you really did a good job here, I like it!" 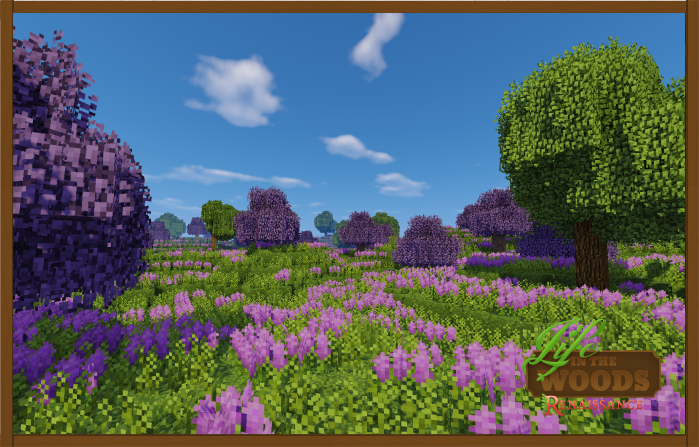 "...inspired by the writing of Henry D Thoreau and it's three minute trailer shows Mincraft more gorgeous than I have ever seen it." "What is that? Can I eat it?" For community discussion, FAQ, and more information check out the subreddit: reddit.com. Thank you to my Patrons, without which this wouldn't have been possible! Help support my future projects and development here: patreon.com. My home page with news, updates, links, ways to support and help along with my merchandise and Patreon information. http://www.phedran.com.